Trance dancing is one of the major ritual forms of healing among the Bushmen. 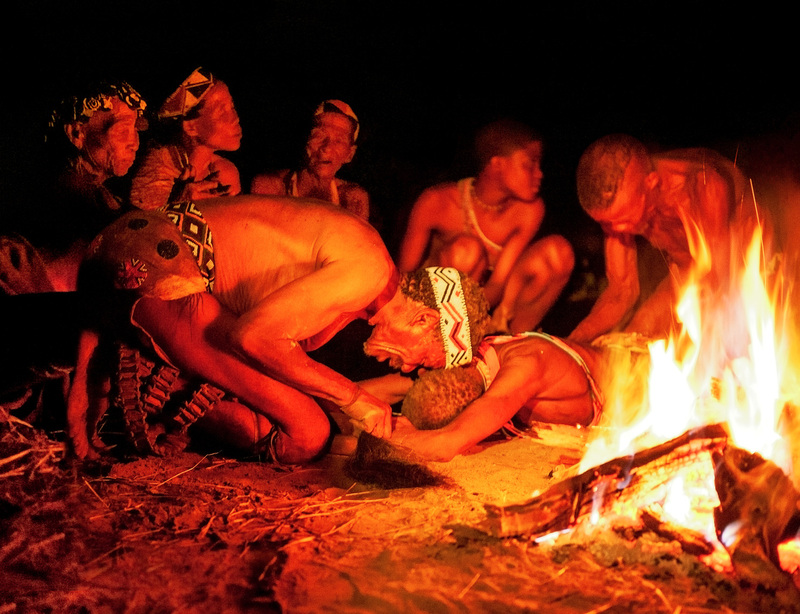 At night, Bushmen shamans gather together to dance around a large fire. They are said to be âdancing eland potencyâ as they enter the spirit world, where they make contact with the sacred animal and draw on its healing powers. As one shaman falls into a trance, another one holds him protectively.